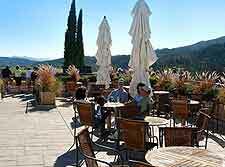 There restaurants and bistros of Napa Valley are perhaps better known for their fine wines and fine dining, and tourists eating out in the 'wine country' are often more interested in the wine list than the menu. However, that is not to say that the cuisine of the Napa Valley is not excellent, being strongly influenced by France and offering dishes designed to be accompanied and enhanced by Californian wine. 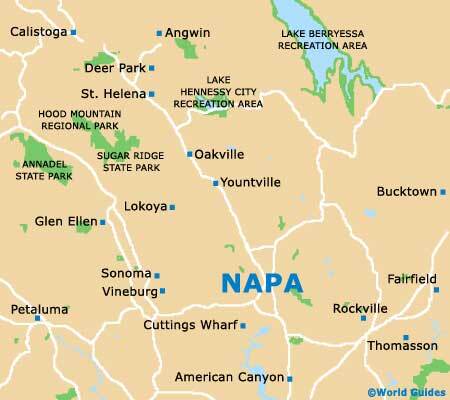 The city of Napa itself is home to a number of reasonable dining options, with many eateries choosing to favor traditional Californian 'fusion' cuisine, with good choices around Jefferson Street, Lincoln Avenue and Main Street. On the city's outskirts, the surrounding golf courses also offer their very own restaurants, particularly at the Silverado Resort. However, for the very best in the way of dining in Napa Valley, then head to Yountville, the region's true culinary capital. 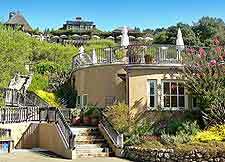 Located on Washington Street, Yountville's very famous and award-winning restaurant French Laundry has become so popular that is ranks amongst America's finest, serving exquisite American / French dishes. However, the popularity of French Laundry comes at a price, and dining reservations are needed literally months in advance. Close by, the unpretentious Gordon's Cafe and Wine Bar is a very reasonable alternative. 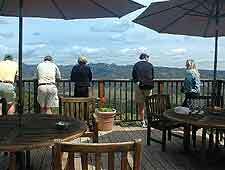 Other good restaurants within Napa Valley can be discovered is locations such as Calistoga, Oakville, St. Helena and the Sonoma Valley, where many picnicking opportunities also present themselves, particularly at some local wineries.